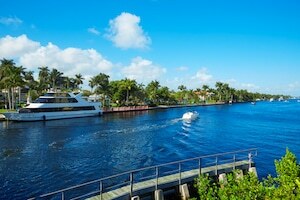 Delray Beach is a city respected for great restaurants, art galleries, and shopping. It has a small town feeling with big city sophistication. Delray Beach is positioned on Florida’s Atlantic Ocean and boasts two miles of beautiful Florida beaches. In 2012, Rand McNally and USA Today named Delray Beach the “Most Fun Small Town in the USA”. Delray Beach’s has approximately 66,000 residents. All Points Mobile Shredding has served Delray Beach in the field of on-site mobile shredding for over 20 years. Since 2013, we have expanded to offer medical waste services to Delray Beach. It is our mission to offer amazing customer service at competitive rates, keeping our clients safe and secure. All Points Medical Waste is proud to be a woman-owned and operated business. We offer a full selection of medical waste disposal and compliance training services to our clients, from small to mid-size waste generators. If you are interested in All Points Medical Waste services in Delray Beach, please contact us by phone or complete the form on this page.